In this article we'll discuss how to install and secure your WordPress website with the WordPress Captcha plugin, which can help secure your WordPress forms. The WordPress Captcha plugin can help secure your login form, register form, lost password form, and comments form from unwanted spam bots that might try to register for fake accounts to leave comment spam on your site. If you are already dealing with an outbreak of comment spam on your WordPress site, we would recommend reading about dealing with spam in your posts and comments for some instructions on how you can clean up this spam. The WordPress Captcha plugin is a bit different than some other common Captcha systems out there that utilize skewed words or other ways to make text harder to read. This plugin instead operates by requiring users to solve simple math problems before allowing them to leave a comment, or registering for a new account. Following the steps below we'll walk you though installing and configuring the WordPress Captcha plugin on your website so that you can help secure your WordPress installation from malicious users trying to leave spam on your site. First login to your WordPress administration dashboard, this is typically done by just going to be your website's address followed by /wp-admin. Hover over Plugins in the left-hand menu, then click on Add New. 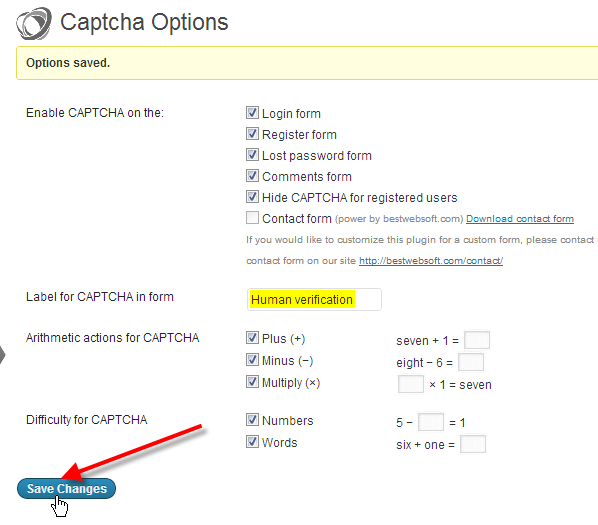 In the Search field, type in Captcha and then click Search Plugins. Beside Captcha click on Install Now. Next click Yes on the Are you sure you want to install this plugin? confirmation pop-up. Then click on Activate Plugin after the plugin has installed. Now you should be dropped back to the main Plugins page, from here click on Settings under Captcha. From the plugin's settings page, you can set which forms you'd like to protect with the Captcha plugin, the label you'd like to display above it, and also the type of arithmetic actions and difficulties you'd like available. When you're done with your settings click on Save Changes. 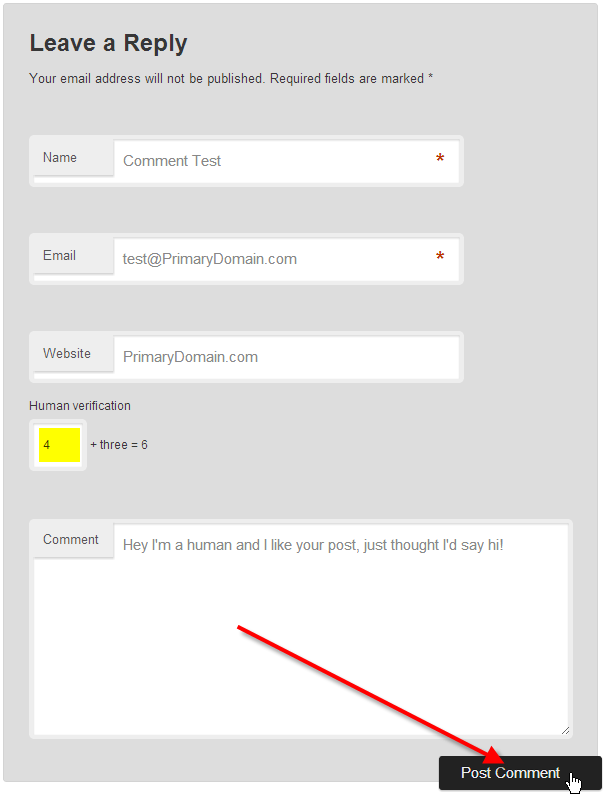 You should now see the Captcha plugin has added itself to your comment form. We used the label Human verification in our settings so that's what you'll see on the form. You should now understand how to help secure your WordPress website from unwanted comment spam and fake user registrations using the WordPress Captcha plugin. can you please provide us shortcode for this to be use on custom forms? please reply asap. According to the plugin description for the recaptcha form, you simply have to use [recaptcha_form] on any page or post. I hope this helps to answer your question, please let us know if you require any further assistance. Thank you! InMotion has been a huge help to us as we develop and maintain our blogs. Recommending this plugin was just one way that you have not only hosted our sites, but helped us improve them. Thank you!